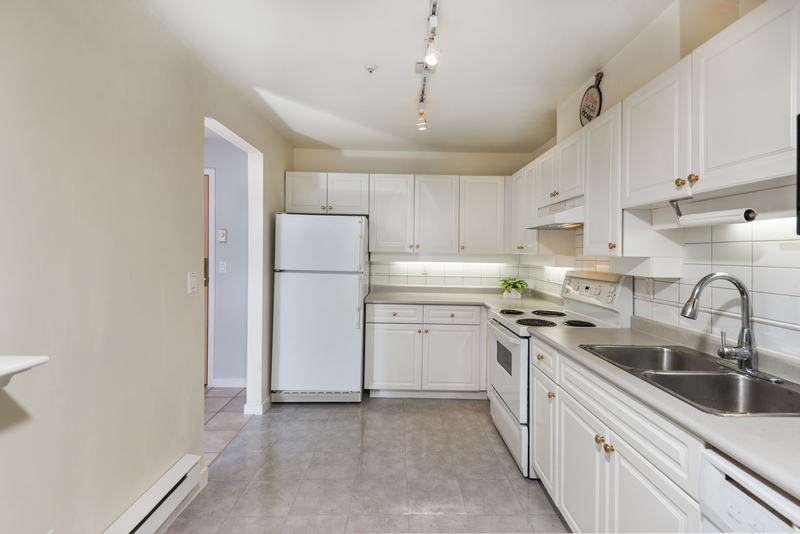 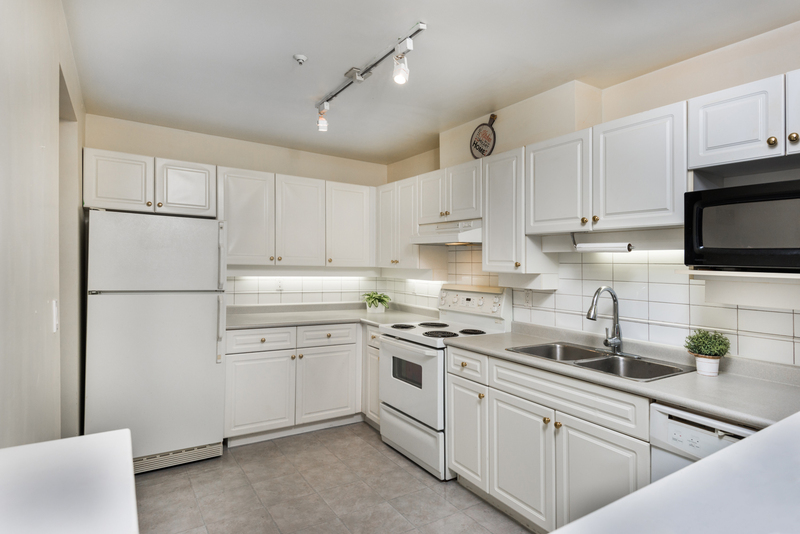 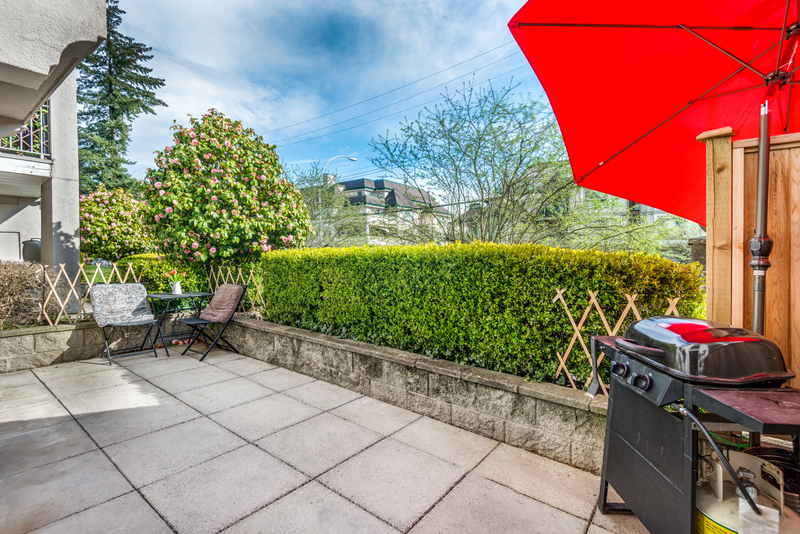 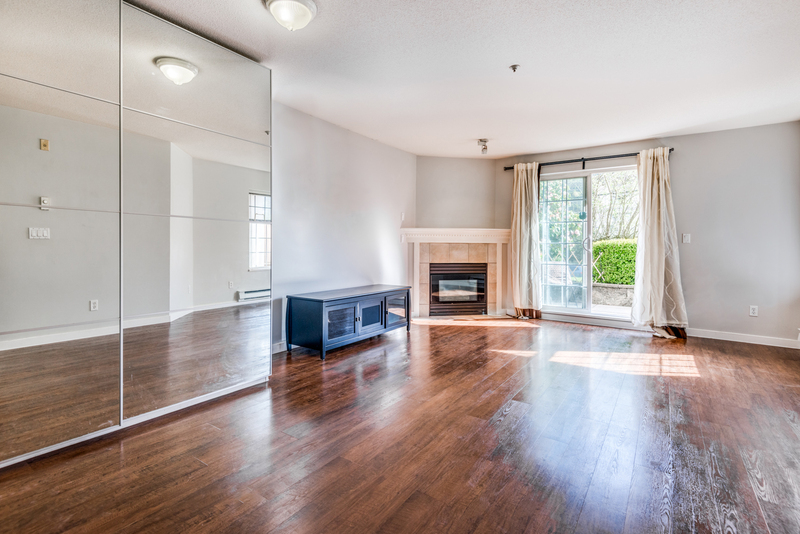 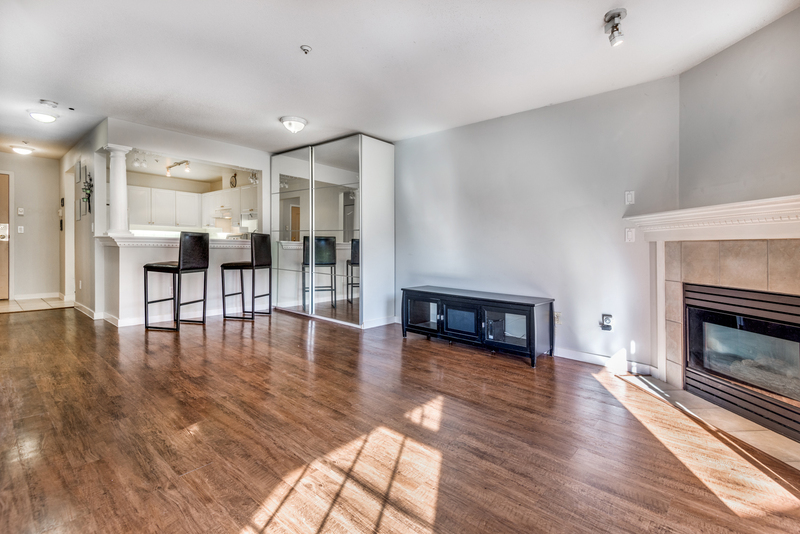 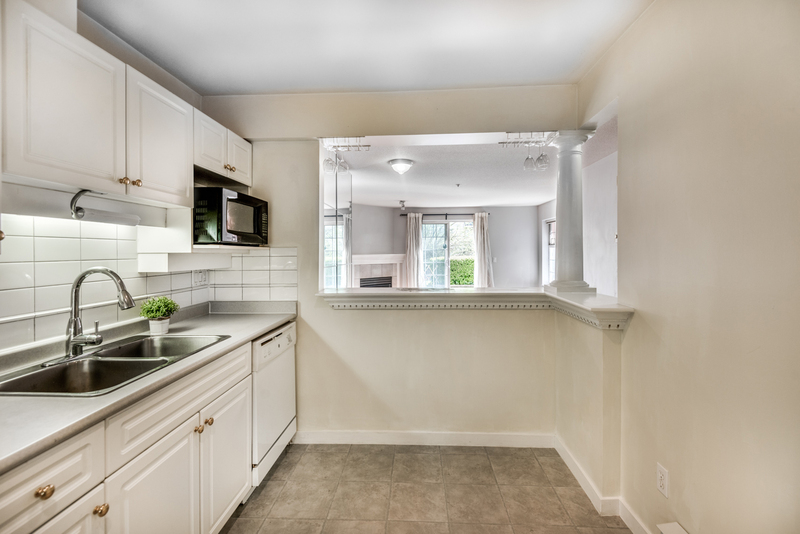 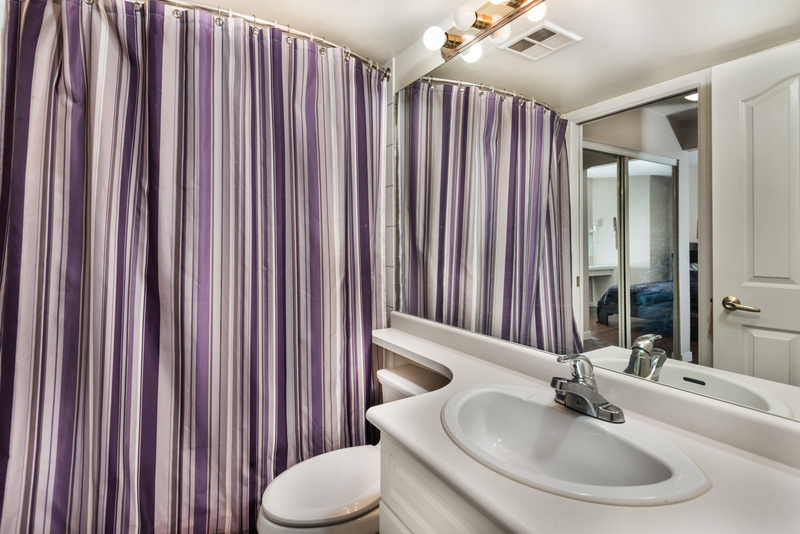 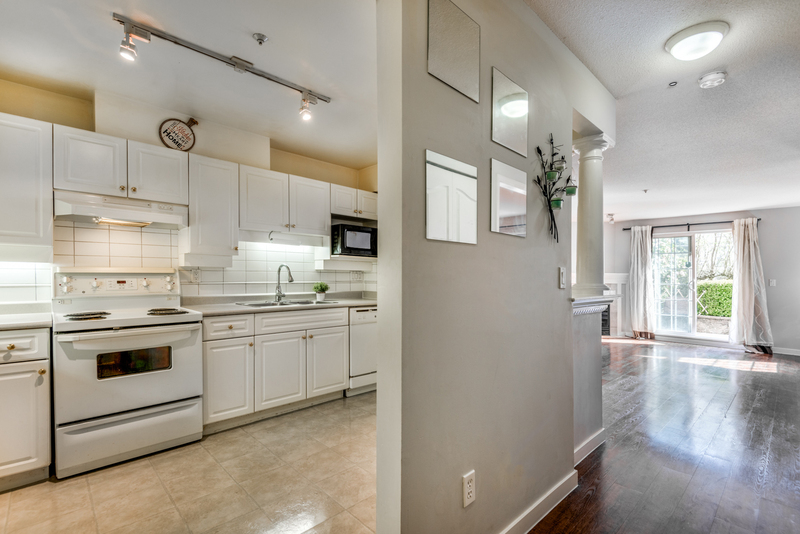 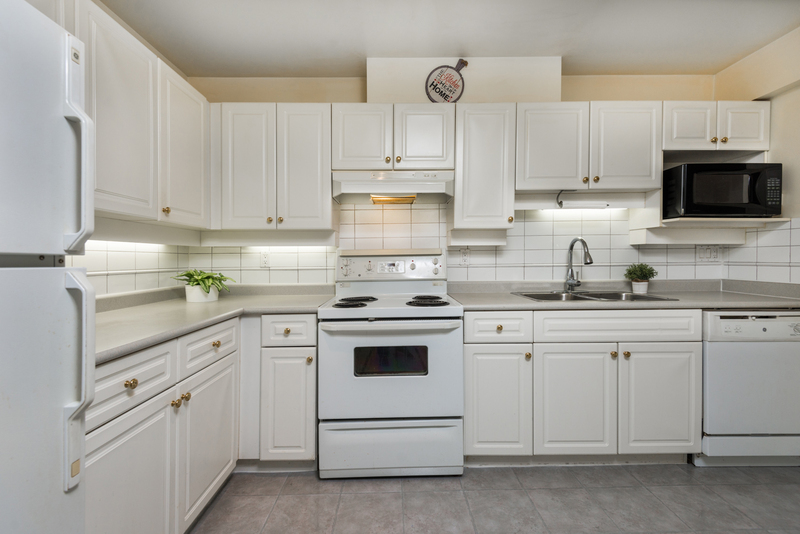 GROUND LEVEL 1 bedroom, 1 bathroom unit with private entry off your HUGE South facing patio! 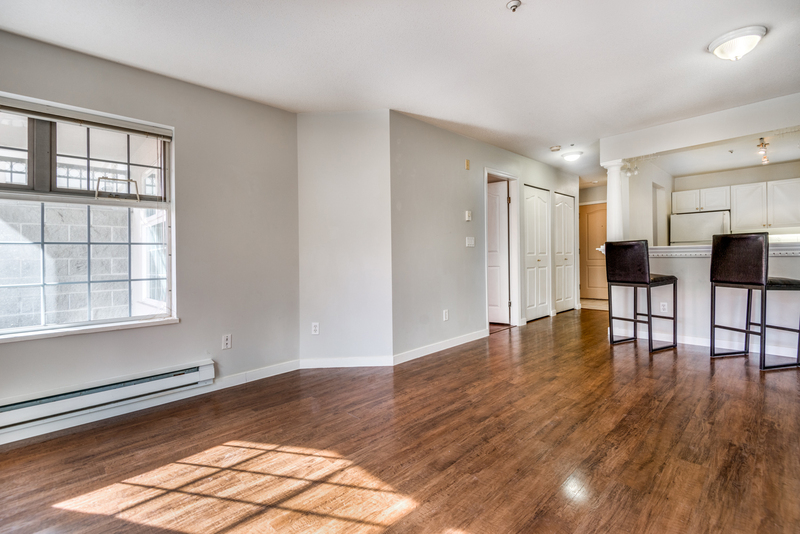 This fantastic 716 sqft open concept layout features a large kitchen looking out to the living/dining room combo which boasts beautiful wide plank laminate floors and a cozy gas fireplace. 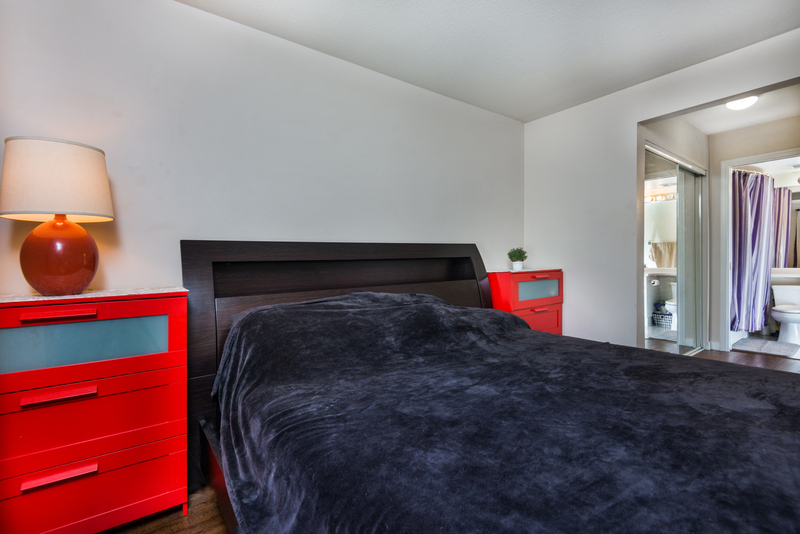 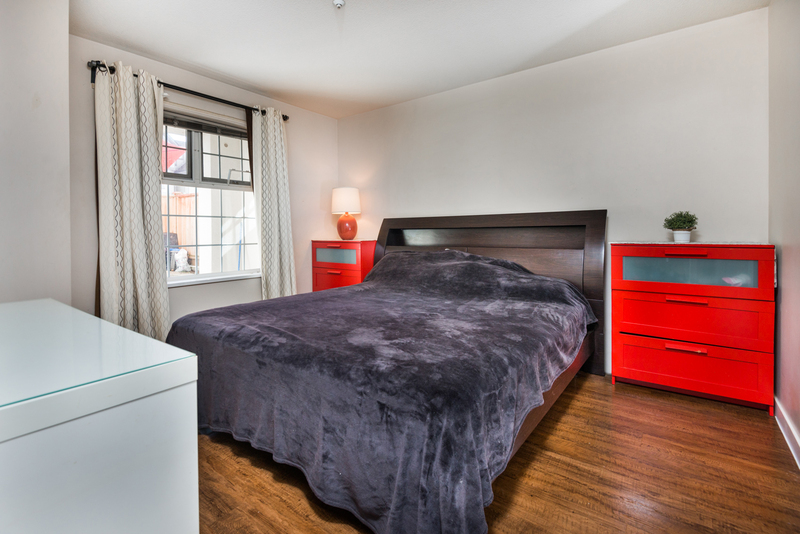 Great sized master bedroom with double walk through closets to the 4 piece cheater ensuite bathroom! 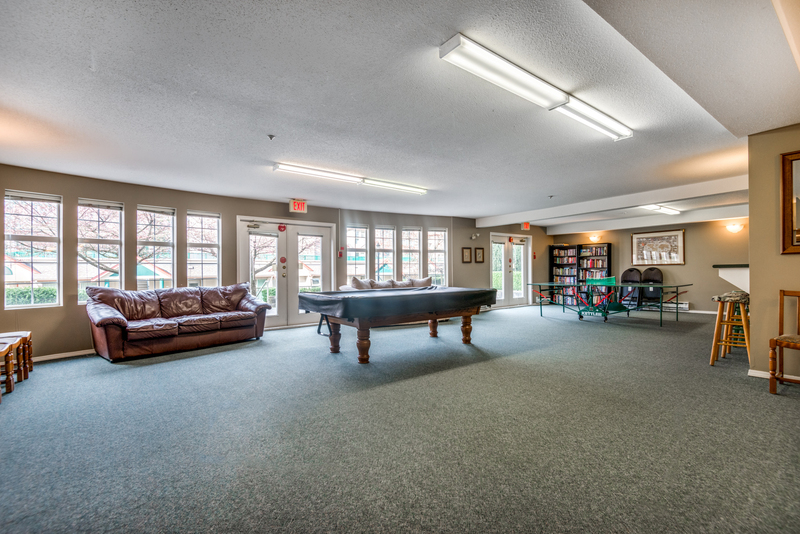 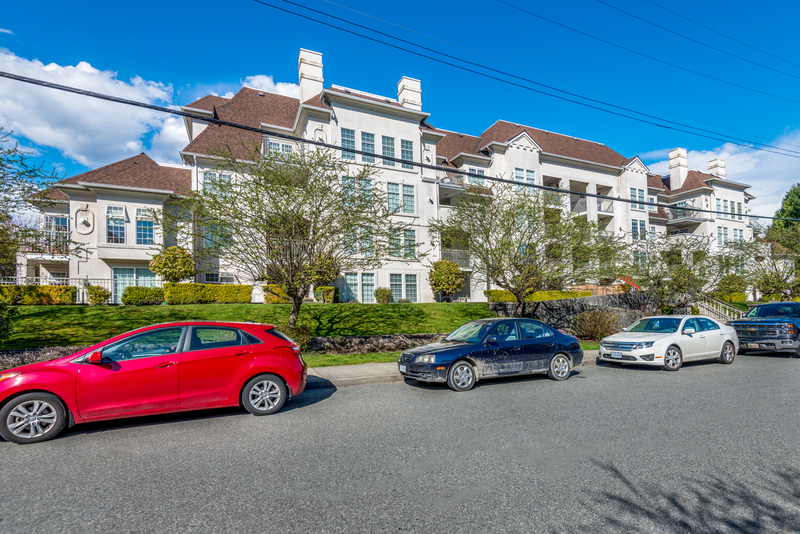 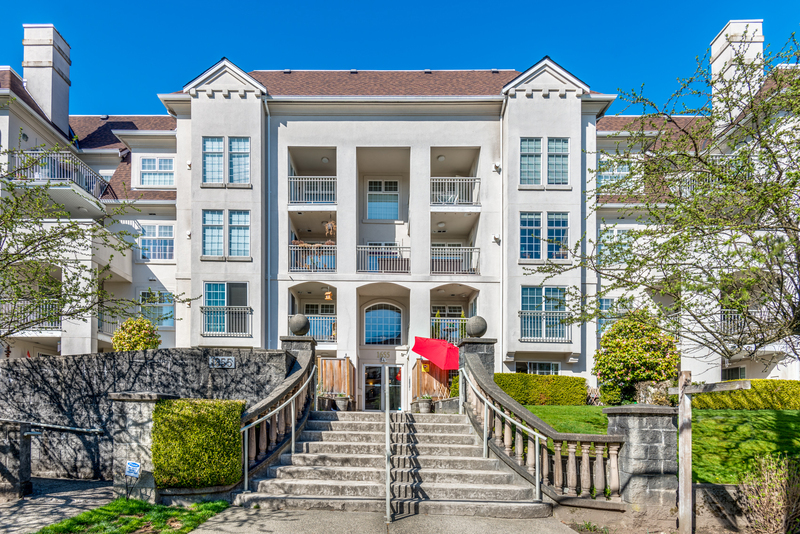 This building has a great clubhouse/rec room, gym and is well maintained with a pro-active strata and a new roof in 2015. 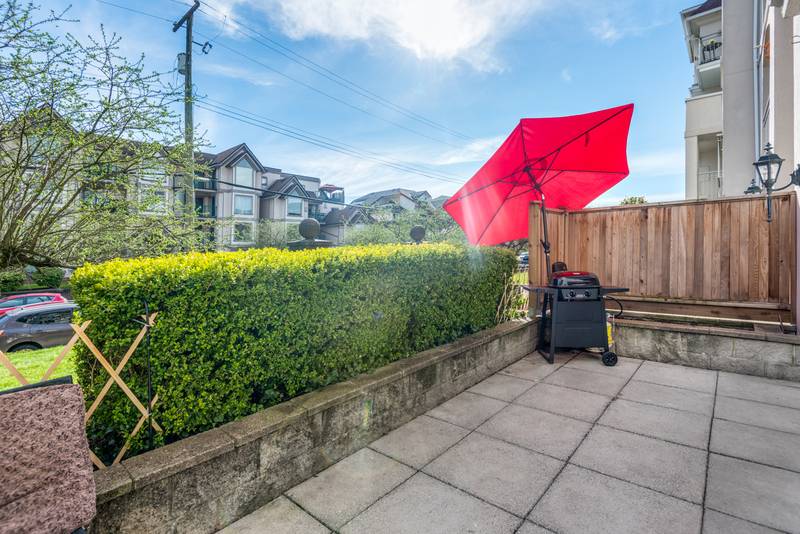 Located just off of Coast Meridian Road, but in a quiet/secluded area. 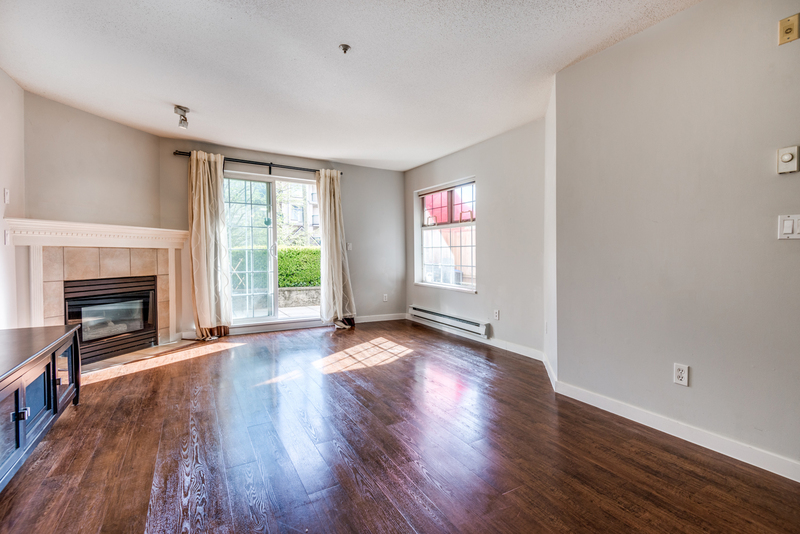 Walking distance to shops, pubs and restaurants, surrounded by schools/parks and a 5 min drive to Fremont Village and endless amenities. 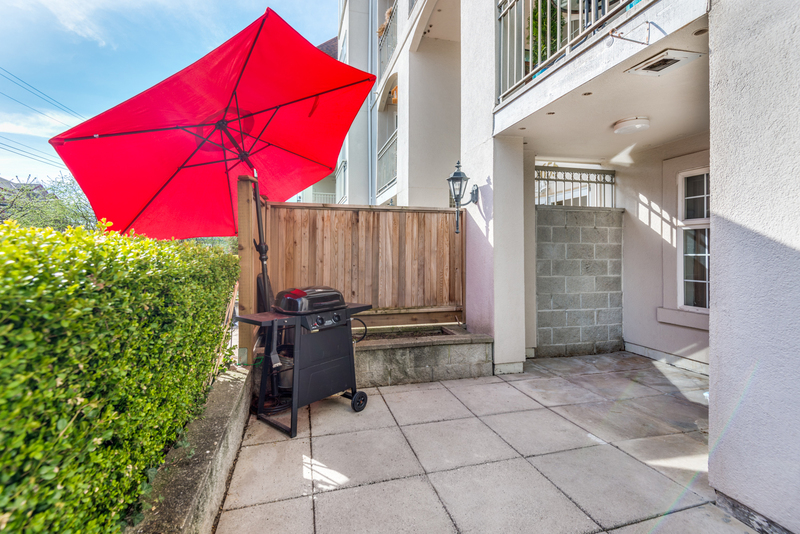 2 pets (no size/breed restriction), 1 parking 1 storage.